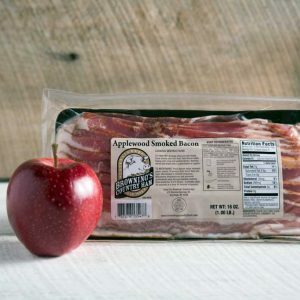 Browning’s authentic Country Bacon is the best around, especially our flagship Thick Sliced Country Bacon. 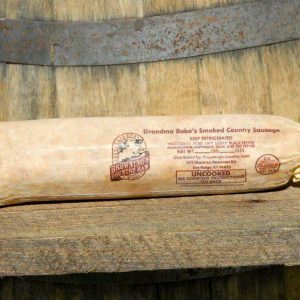 Other customer favorites include Grandma Babe’s Hickory Smoked Sausage, which is a great blend of sage seasoning and country ham. Packaged in a cloth sack allowing the hickory smoke to fully flavor the sausage. Thick-Sliced Country Bacon 2 lbs.